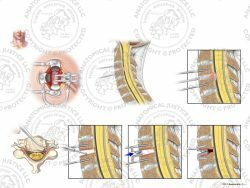 This exhibit illustrates C5-7 partial percutaneous discectomies utilizing coblation. 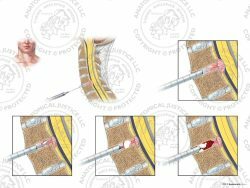 Coblation is a non-heat driven process that utilizes radio frequencies to dissolve targeted tissues for removal. 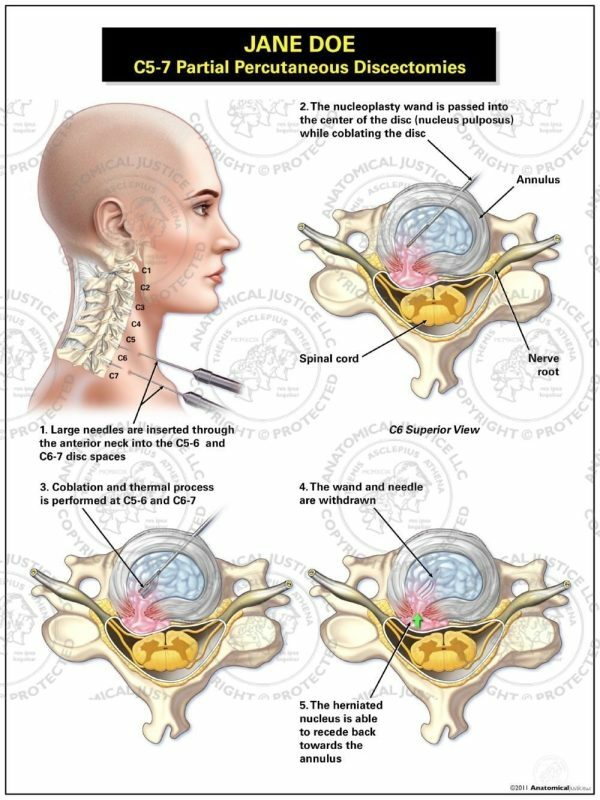 Nucleoplasty wands are passed into the C5-6 and C6-7 disc spaces three times, removing small amounts of nucleus tissue. 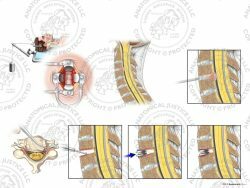 The partial discectomy creates a vacuum effect within the disc, causing the herniated nucleus to recede back into the disc space, and out of the spinal canal.